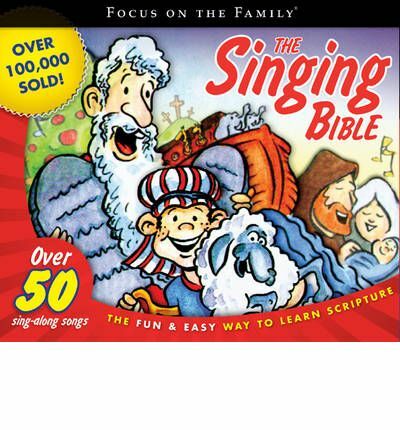 "The Singing Bible" includes 50 original sing-along songs. It sets Scripture to music and includes memorable lyrics and tongue twisters, making understanding the Bible an exciting journey. This collection of 4 CDs is fast-paced and perfect for use at home or during car trips. Lyrics included. Song titles include "God's Promise," "Noah Built a Boat," "The Bible Book is True," "Joseph's Dream," "Psalm 23," "Listen to Wisdom," "Daniel," "Elijah," "Jonah and the Whale," and many more!